In the early 90's, when travel abroad was much easier than having to fly into space, the Russians finally learned what the rest at the seaside. And the first city, won fame fashionable resort, Hurghada has become. The sea, beaches, good hotels, a familiar food, and even exotic Luxor, skating on camels and even a trip to the pyramid - all this attracted tens of thousands of tourists from all over Russia. Rest here was cheap, and it was affordable for most little people. For many of them Hurghada was the first, and the available abroad, which remained in grateful memory. In short, if you have a saying: "Egypt - Cairo that" it has been 15 years, said: "Egypt - Hurghada it. It must be said, Russian business is very competently mastered it. In Sovestkom Union, there were many professionals who worked in the Middle East, enough people who knew Arabic, and they formed the basis of the companies involved in travel. Tourists arrived in Hurgazu, from the first day of fall into the comfortable environment, because they do not have to rely only on a modest English and ability to explain characters - who was here to help. And then came to the fore the obvious advantages of this kurorta.Vo first in Hurghada is easy to reach: the city maintains its own international airport which receives direct flights from Russia. Secondly, it is quite acceptable for the Russian climate - warm and dry desert climate with constant sea breezes. Yes, summer is hot, the temperature above 40 degrees. But heat is not painful. It can be dealt with by the local mineral water. And must not forget chafe cream that is not the sun burned skin. However, you can simply climb into the sea and prosidet there are 10 days, which usually lasts an Egyptian tour. Hurghada - a paradise for golfers around the world. The famous resort complex with golf course located in El Gune, which is about 25 km from Hurghada. If the first years of the Russians went to Hurghada just relax, the last time, perhaps since the beginning of the century, they have an interest in local real estate. Nothing surprising. Some brought a business, and therefore bought the apartment, the other just tired to rent rooms in hotels. Finally, a lot of those who began to invest in Egyptian real estate, hoping to profit. In order there are reasons. Expensive real estate in Egypt every year, at the same time, according to our standards, it is not so much the road. Recently otstroennuyu the villa area of 200-300 m ² can be bought for 400-500 thousand dollars. Flat area of 100 m ² will cost a little more expensive - 100 thousand dollars. There is great variation in prices, and still 60-70 thousand dollars should be sufficient for a decent area of around 1 thousand m ².
Twenty years ago, Hurghada was the poor fishing village. The first major investment in the economy of the town did business with the Arab East. It happened in the late 80's. Soon came here, and European investors - companies from Germany, Italy, Belgium. Together, this created a good infrastructure - roads, communications, and, of course, modern hotels. Local people employed in the service sector, artistic poverty learn the minimum set of English, German and Russian words, and seems to be the only concept that has no Arabic equivalent, cost of delivery. But that waiter that the driver that the trader - they are all quite peaceful, and if a tourist persistent, he always get what hochet. Zametim also that local governments favor the investors, there are various tax breaks for those who have something building, and it also attracts business. Europeans sometimes pay attention to the set built, but .... arrears little houses. Of course, any developer can be difficult, but it's just different, in a funny trick: while under construction, there are tax benefits, like the Egyptians, and trying, so to speak, to extend the fun. But the authorities closed a blind eye. Over the past few years, the inflow of investment is not reduced. A general upturn in the market creates a growing demand. According to local authorities, in 2007, an Egyptian real estate sector grew almost 16%, more than 2 times higher than the growth of the economy as a whole. According to studies carried out by several government institutions, is currently in Egypt, there is a need for 2.5 million apartments, and that the proposal more than kept pace with demand, the market has an annual needs of 350 thousand new apartments. According to sociologists, the gap between rich and poor is extremely large, but the economic measures taken by the government, contribute to the growth of the middle class, so that the Egyptian real estate is the consumer who can create demand. Currently, the major players in the local real estate market are the companies from the Gulf. But the Europeans, as private individuals or corporations, are increasingly influenced by the situation in this area. First, all attracted by cheap land. Secondly, Egypt, with its huge population and unpretentious, with a multimillion army of tourists - this is a huge and promising market with a very low-cost projects. After Europe, with its overheated housing markets, Egypt seems to investment paradise. Especially since, according to research companies, to peak development of real estate is still very daleko. Razumeetsya, buy property in Egypt - it is not the same as buy fragrant oils in hurgadskoy bench. It would be extremely naive to rely on herself and does not refer to specialists. Stories from poorly spent money, you can find in abundance on the Internet. But the fact is that specialists in the Egyptian real estate is sufficient, many Russian companies are active in the local market, selling villas, studios, apartments, and could contribute as ordinary buyer or investor. Well, if we who have decided to work at your own risk, it is unlikely that it is then to lament the loss of time and money. The fact that the Russians came in Hurghada in earnest and for a long time to understand everything. Including Western competitors in business, who realize that the market reached new players, which will be considered. The Russians are willing to buy this home for a holiday or just free time, but is becoming increasingly popular purchase in order to derive rental income. Given the prospects for the development of the coastal zone, such income - too seriously and for a long time. Egypt as one of the world's most intriguing country when it comes to mystery beyond their famous architectures and rich in history is a place where all of us would surely spend time to visit at least once in our lives. There are countless of wonders that you will see in Egypt, natural or man made. No matter how the media convey the beauty of this magnificent country, it cannot pale into comparison the experience you yourself will have. In the center of Zamalek district in Gezira Island, stood a 187 meter tower leaning over Cairo. This famous Cairo Tower provides a glamorous view of the city at night, the glow of each building reveals the city's best contours. The panoramic view would surely take your breath away. For over 4000 years, the great Pyramid of Giza never fails to enchant the eye sight of its viewers and The Great Sphynx never fails to mistify the minds of the every tourist. This 2 great creations remain as the icon of Egypt since the ancient times. Indeed, a beauty that must not be missed. 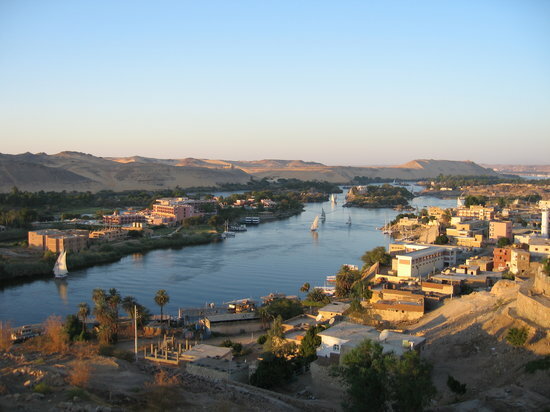 The most popular and the source of life of Egypt, the Nile river, is another place you shouldn't miss. The best experience with the Nile is by cruise. Touring you the Nile's riverside is another magnificent scenery packed with luxury and style. Situated at the west bank of the Nile across from Luxor, where the nobles were burried, lies The Valley of Kings. This is the principal burial place of the Kings of the New Kingdom dated back on the 16th to 11th century BC. Its tombs and chambers continue to be studied for further exploration and discovery. Indeed another place of never ending mystery that must be seen. Another great creation of the Ancient Egypt is Luxor Temple. It is thought to be the temple for Amon Ra in the shouthern region of Egypt. With its stunning entrance alone, you will surely praise this magnificent creation of the ancient times. For a glimpse of Egypt's artifacts, Egyptian Museum in Cairo is the best place to be. Built on 1835, the museum exhibits over 120,000 artifacts from the ancient times. The museum doesn't only cater ancient artifacts, but mummies and sculptures as well. Another mesmerizing scene that would stain in your vision for a lifetime. One of the world's best underwater adventures is situated at Red Sea in Egypt. Resorts in the Red Sea coast such as Hurghada caters scuba diving, taking you to some of the most beautiful parts of the Red Sea. It is inhibited by over 1000 invertebrate species wanting to be seen and explored by human eyes and minds. Located 45 kilometers north from Farafra, you might mistakenly think this as a never ending shoreline of a beach since the whiteness of the sand resembles those at Bora Bora. This is another interesting site in Egypt with fascinating white rocks perfectly balanced on top of a pillar. This cream colored desert is best viewed during sunset or sunrise as it changes its color, a true delight on your eye sight. Another astounding place to hop in is the temple in Abu Simbel. The temple of Ramses in Abu Simbel unravels the beauty of ancient Egypt. It portrays how Egypt is rich in culture and power. These gigantic Statues are made for the purpose of recognition and landmark since ancient times. Dakhla Oasis is another oasis worth visiting for. Traditions are well preserve by the inhabitants making it more interesting to tourists and travelers. So you are traveling to Spain and planning to visit Barcelona while you are there, but the thought of staying in a noisy, busy, city centre hotel leaves you cold? Don’t worry, there are other options when it comes to Barcelona hotels, and the following couple of suggestions should make for a mush more relaxed trip. The first suggestion is to try one of the superb four star hotels at the Port Aventura theme park, only a short distance outside the centre, rather than a hotel in Barcelona city itself. It is possible to get a dedicated transfer from Barcelona’s main airport, directly to the theme park, which will drop you right outside your hotel. Of course, you can always hire a car and drive yourself to the theme park, and if you do, remember that Europcar have special arrangements with the Port Aventura hotels to ensure you get the best deal. The four hotels available each have their own particular character and are decorated and furnished to a very high level. Whichever you choose you will be guaranteed a luxurious visit. If you are looking for classic Mediterranean style you might try the Portaventura hotel, whilst for something a little different, the El Paso hotel has a Mexican theme. If you are after sheer indulgence and the chance to sunbath by the pool on pure white sand, The Hotel Caribe is for you. As well as bed and breakfast, the very reasonable prices charged by the Port Aventura hotels also include entrance to the theme park and the Caribe Aquatic Centre. Even during the summer months, an expensive period for all hotels in Spain, a night in the hotel with two days in the theme park is just over two hundred euros for a single, and less than one hundred and fifty per person for a double. To reduce the cost even further, you can have a room for up to four people. Out of season, when it is still possible to enjoy good weather in this region, two people could pay less than one hundred euros. If you want to be a little closer to Barcelona city centre, but are still looking for a luxurious option, away from the crowds of La Rambla, you should check into the Arts Hotle, which offers an incredible sea front location with views over the whole Marina and port area. This is a place to really be pampered, and any of the spacious rooms, suites or split-level apartments, offer an uneatable standard of accommodation. The real gem in this hotel is the Goyescas restaurant, were the extensive menu includes local specialties as well as international cuisine. If you are having trouble deciding between the mouthwatering dishes, a recommendation from the friendly staff may help you make up you mind. They will even tell you the perfect wine to accompany your meal. So as you can see, it is perfectly possible to enjoy the cultural and historical sights of Barcelona, without having to stay right in the bustling city centre. After a hard day’s sightseeing you return to a calm relaxing oasis, just a short ride away. Spains costa del sol(Coast of Sun) is situated in the south of the country and experiences around 320 days of sunshine every year. This is why it has become in recent years one of the most popular holiday destinations for the British as well as other europeans including the Germans and the French. 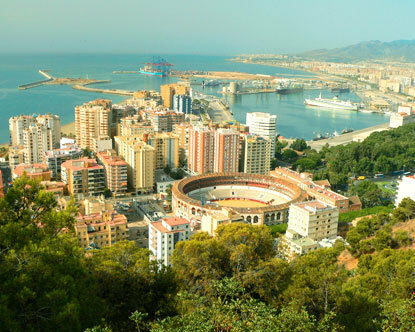 The costa del sol has a host of towns a cities to explore such as its capital Malaga, Torremolinos, Benalmadena, Mijas, Marbella and Estepona to name a few. The costa del sol is a fantastic holiday resort for people of all ages. If you have children then there are lots of places to visit such as Selwo Marina in Benalmadena which has a variety of sealife to see including sea lions, dolphins, flamingos and penguins. Or if you are visiting Fuengirola the zoo there is a must. Located pretty much within the hustle and bustle of the town it has a great number of different animals from all over the world to see and is great for the kids. If golf is your thing then the costa del sol is perfect for you as its one of the worlds golfing mecca´s. There are around 50 courses to choose from and most are of a very high standard. A particularly nice course is Santana Golf Course in La Cala and is well worth 18 holes. Bare in mind though if you do play golf in Spain try and avoid July and August as although the green fee´s will be a lot less than the rest of the year, it can get very hot and is not ideal for playing any sport. If it is nightlife that you are after then the costa del sol is definetely a good choice. With literally hundreds of bars and clubs to tickle your fancy you will be spoilt for choice on where to spend your evenings. On the other hand if all the above sounds like just a bit too much activity for you, why not settle for a nice spot of sand on one of the many fine beaches that there are on offer. Lay your towel down, chill out and feel that warm sun on your body. The great thing about the costa del sol is that there is something for everyone.